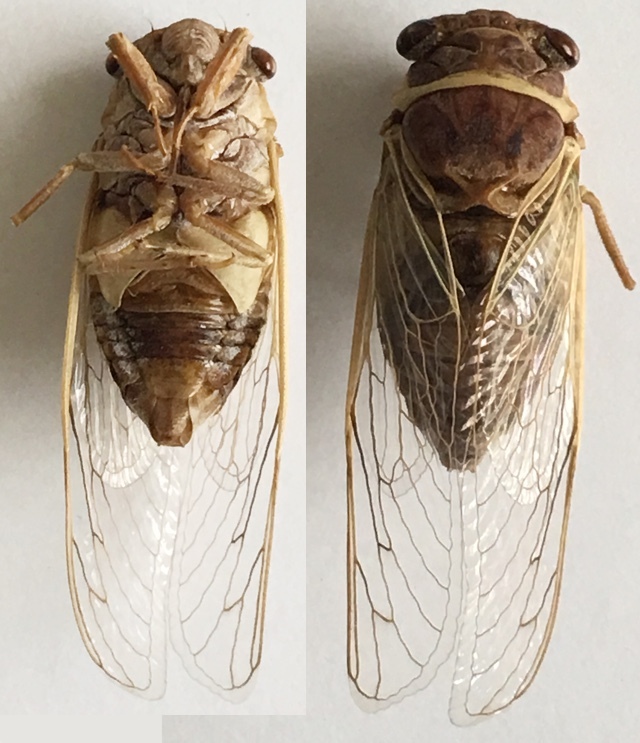 Diceroprocta alacris & Diceroprocta apache are two cicadas, both found in Mexico. I’m covering them both in the same post because they were both formerly refrered to as Cicada transversa. 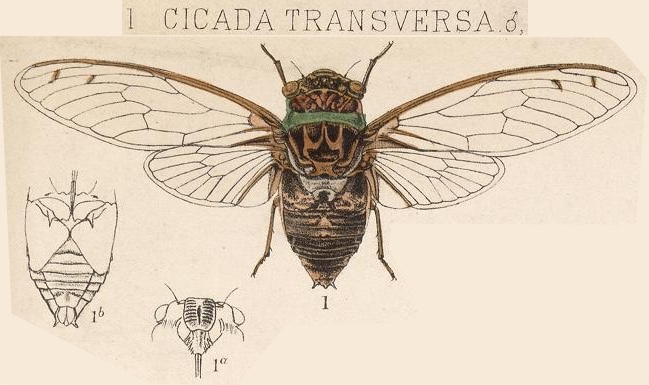 D. apache was formerly known as Cicada transversa. 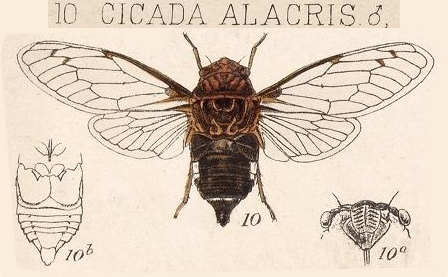 D. apache, aka Citrus Cicada, is also found in the southern United States. Visit this page to listen to its song. D. apache have triangle-shaped opercula. There are two subspecies: D. alacris alacris (Stål, 1864) and D. alacris campechensis Davis, 1938. 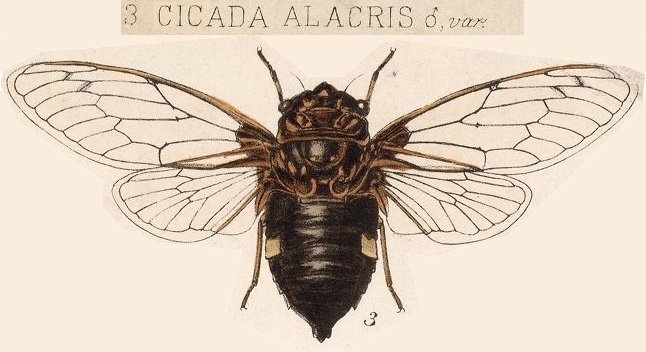 Diceroprocta alacris was formerly known as Cicada alacris as well as Cicada transversa.